This was a good find … $10 (plus $10 more for shipping) on eBay. Actually, let’s call it a great find. 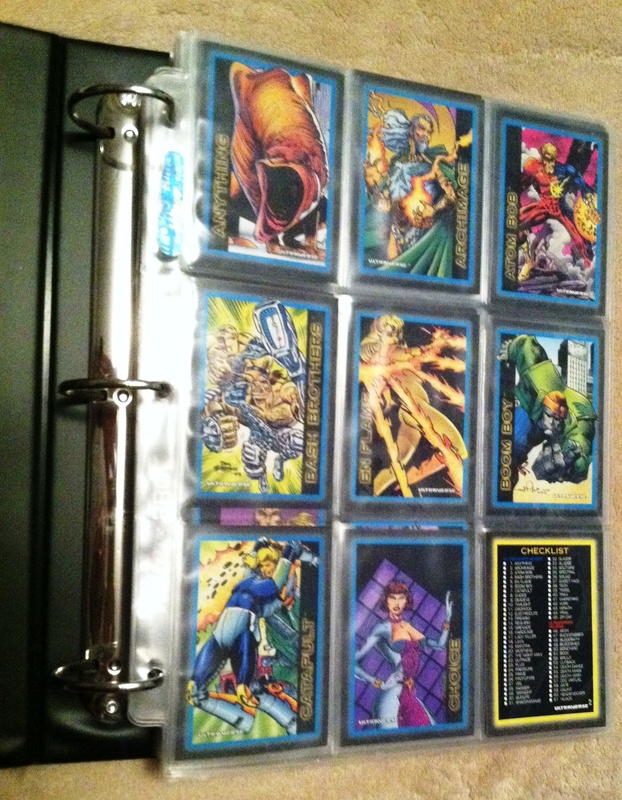 Two things of note: First, this binder was full of complete sets of Ultraverse Series 1, Series 2 and Ultraverse Masterpieces sets. With all the chase cards! And some promo cards. And a signed, stamped card from Series 2. And second, I was able to score for another $10 a Spider-Man binder from 1995 that was also complete with all chase cards. I have no idea how these slipped under the radar; my bids were set quite a bit higher but nobody else bid. All of the cards are in great condition. I already had full sets anyway, but this is the first time I have seen the binder sell that low. And that was the main thing I wanted. Usually these hit $50 or more, and you only see one every few months or so. As far as I know, the Series 2 cards were the only ones that had their own binder. Nearly all of the Ultraverse cards are easy to find on eBay. You should never have to pay more than a few bucks for a set. You can also get an unopened box for a decent price. I’ve bought all three boxes separately for under $10 shipped. But … there was some bad news. 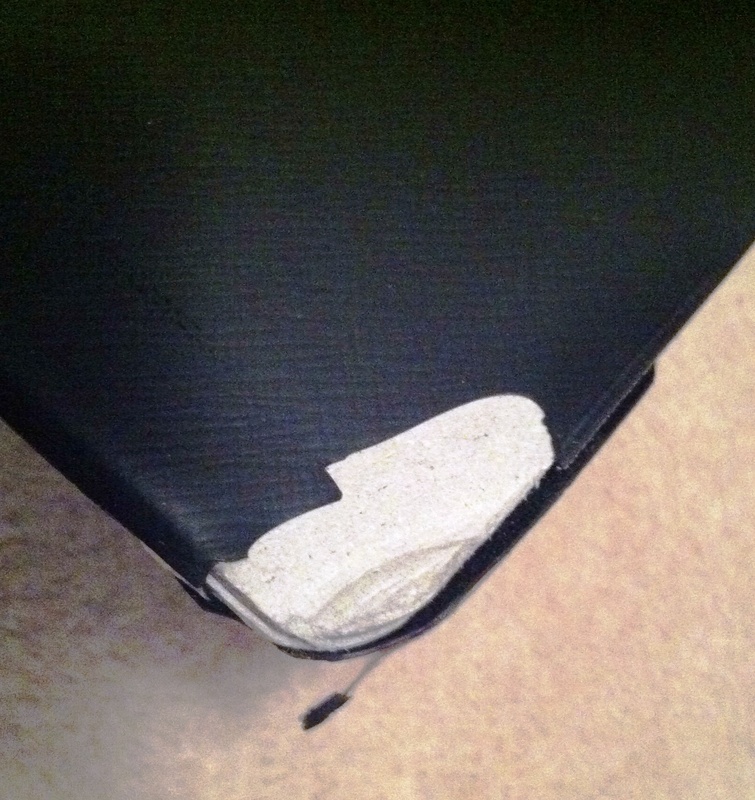 The inside of the binder was cracked and ripped on the corner. It looks fine from the outside but the inside looks kind of chewed on. I guess I will have to keep my eyes open for another, but I’m still stoked to have this one in my collection. 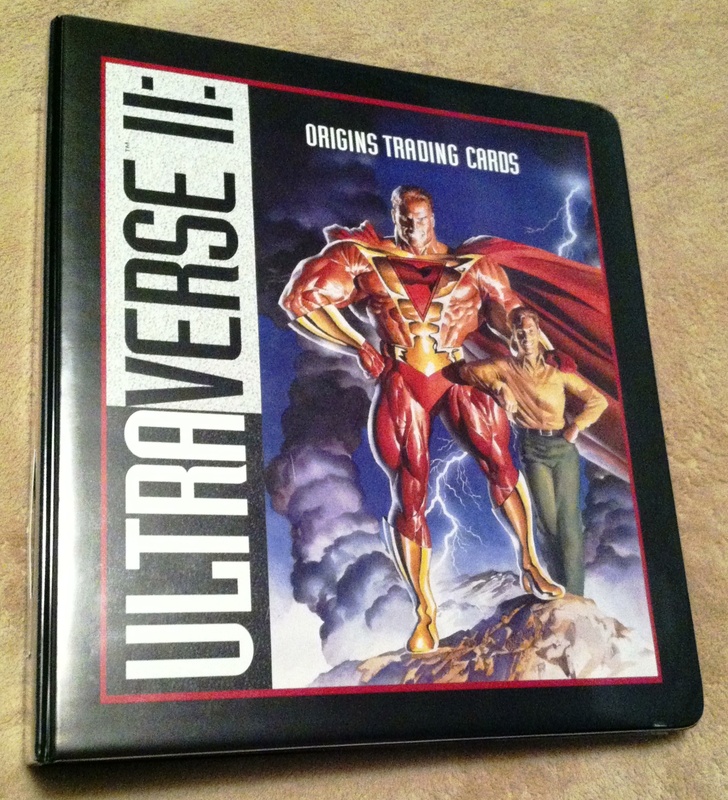 This entry was posted on Tuesday, November 12th, 2013 at 12:20 am	and tagged with Ultraverse and posted in Cards, Recent scores. You can follow any responses to this entry through the RSS 2.0 feed. I bought mine in february of last year from an australian ebay seller, for $55 with free shipping (I persistently nagged the seller to lower the S/H price XD). But the interesting part is the binder was sealed in a factory box set (plastic molded cover and case) with a LE 330 sticker on it. The fact that I was tracking that binder long before I bought it still baffles me to this day, nevertheless, it was indeed a great buy, if I do say so myself. That sounds like a great deal … the binder I have also had a couple of extra cards that you could only get with the “factory set” but I had no idea what that was. It sounds like what you have, though. Good snag! 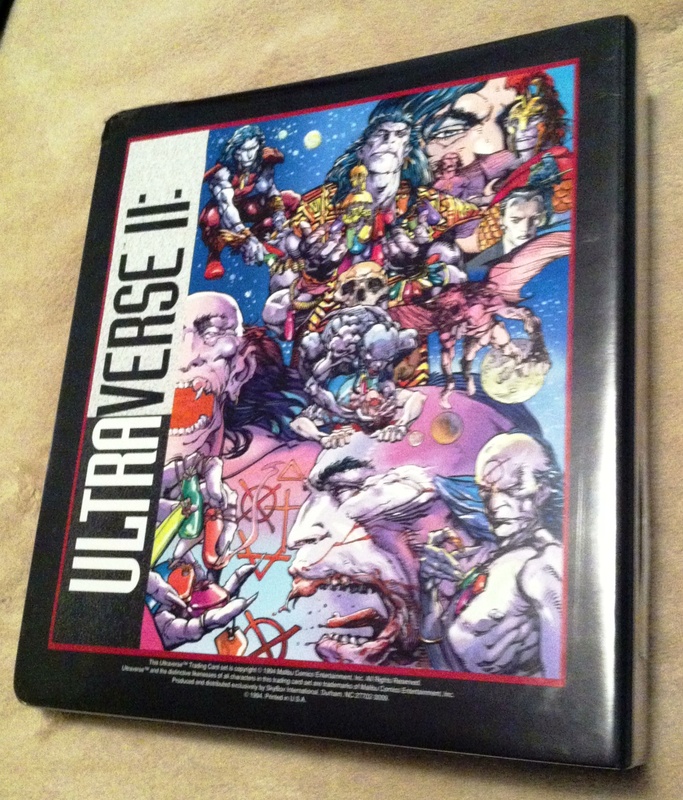 Since this blog is mainly about collecting Ultraverse comics, start off with the checklist (click the tab at the top of the page). It's an ongoing project but I think we're getting pretty close. Here's the trick. If you're collecting these comics you are one of the few, so don't go crazy. Just be patient, look for large lots on the cheap and keep your eyes on auction sites. But if you see a gold hologram cover, grab it! Yes, I know how to spell "cheap." Sheesh.